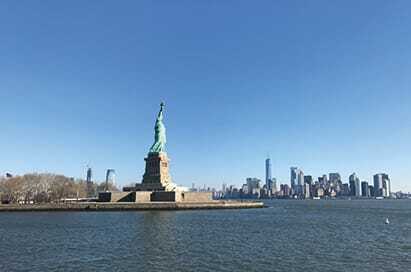 February half term is the peak time for travel to New York. 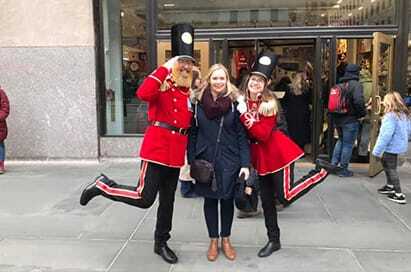 As part of our commitment to customer service we have sent members of our team to the Big Apple to be on hand to troubleshoot and support our groups when they arrive and whilst they are in New York. 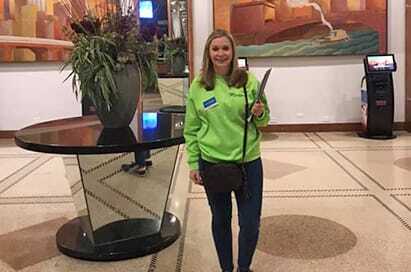 Having representation on the ground during this peak travel team has been really well received by our groups who appreciate a friendly face to offer that extra bit of a back up and support in addition to our 24/7 help-line. 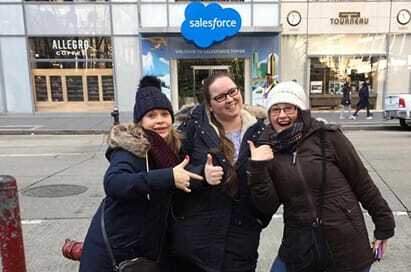 It also part of our on-going team development, regularly ensuring members of our team travel to our destinations to pick up all those insider tips! 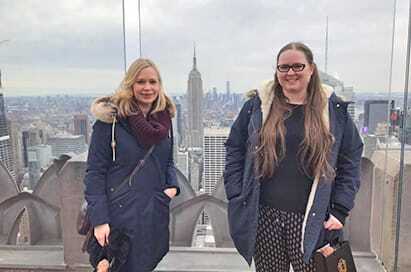 Taking advantage of the February half term rush Amelia nd Laura embarked on a whistle-stop tour of New York, to gain a little bit of insight on one of our top destinations for group travel. 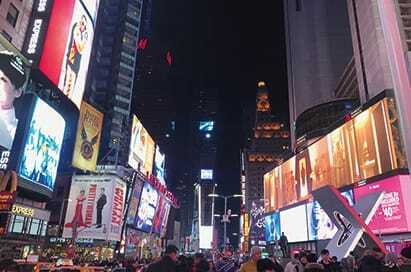 Having never been to New York, Amelia was amazed by the sheer size of the city, which is impressive to behold and always buzzing with activity, particularly at night when walking along Time Square! 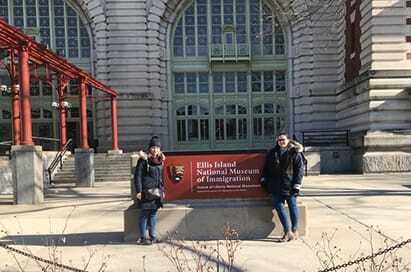 First stop on the itinerary was a visit to the Statue of Liberty and the Ellis Island Museum; the statue cruise is an absolute must to get that iconic photoshoot with Lady Liberty, and the Museum itself was absolutely fascinating, a perfect visit for those wanting to learn more about the ‘melting pot’ history of the USA. 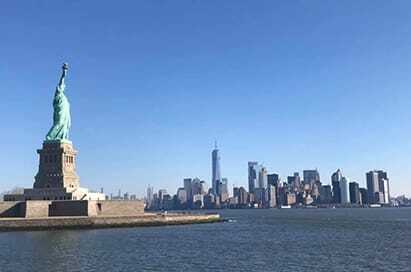 Insider tip: go early to avoid the queues! 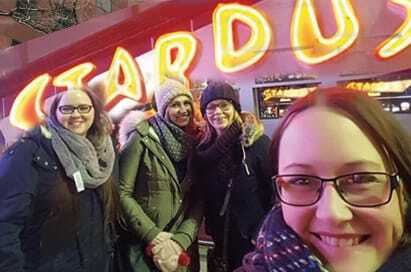 The girls visited a couple of our favourite restaurants to get a feel for the dining options in New York, including Bubba Gumps, Hard Rock Café, Bucca di Beppo and Ellen’s Stardust Diner. 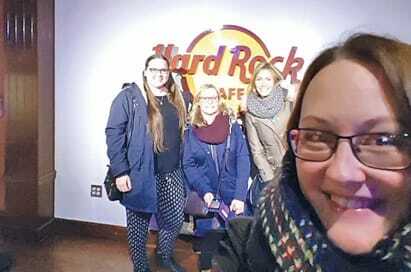 Hard Rock Café offered great food and lots of fun, and we would definitely recommend Ellen’s particularly for Performing Arts groups, as it’s like dinner and a show rolled into one!